This rather special car has been saved from a scrap yard by my good friend Nigel Gates. The car was left there because of a broken water pump . It's time between car wrecks did leave it with some dents and scratches and sadly one of the windows was smashed shortly before the car could be rescued. 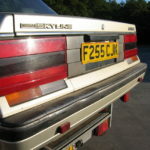 This car, which as far as I know has never been sold in any European country, was built and sold new in South Africa and moved to the UK with its first and only previous owner. 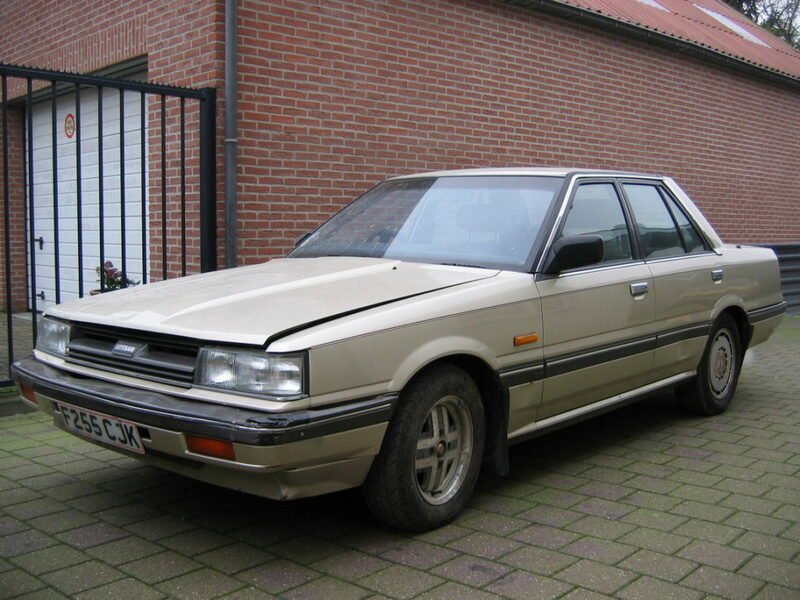 It's a top of the range saloon with leather interior, factory fitted stereo, cruise control, air-conditioning, the works. 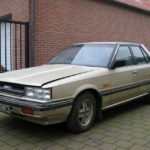 The car is now running again, thanks to an Australian friend who sent a waterpump (Australian build R31s were the only other Skylines fitted with the RB30E engine). It's a marvellous car to drive with it's rev happy straight 6 engine, manual transmission and the independent rear suspension. 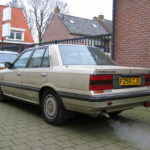 I drove it from England to the Netherlands and after some cosmetic work, a new clutch, exhaust and front spring (one spontaniously snapped while in storage puncturing a tire at the same time) I will be very proud to show it at meetings and on the road.